Objective: Describe the proper selection, use, and care of eye protection. Review the information below on eye and face protection and types of protective eyewear. Show workers examples of the different types of protective eyewear. Discuss how and when to use each piece. Let workers examine and try on the eyewear. Shatterproof safety glasses, safety goggles, and face shields offer eye and face protection while providing for clear vision. Many eye protectors also have side shields and/or filter lenses. Side shields offer protection from flying objects. However, eye protection may not stop high-velocity flying objects. Filter lenses provide protection from radiation such as is encountered in welding. For more information, see the Tailgate Safety Training modules Gas Welding Safety and Arc Welding Safety. As of 2003, all safety glasses must meet the minimum standards set forth by the American National Standards Institute (ANSI). Approved lenses are marked by the manufacturer. 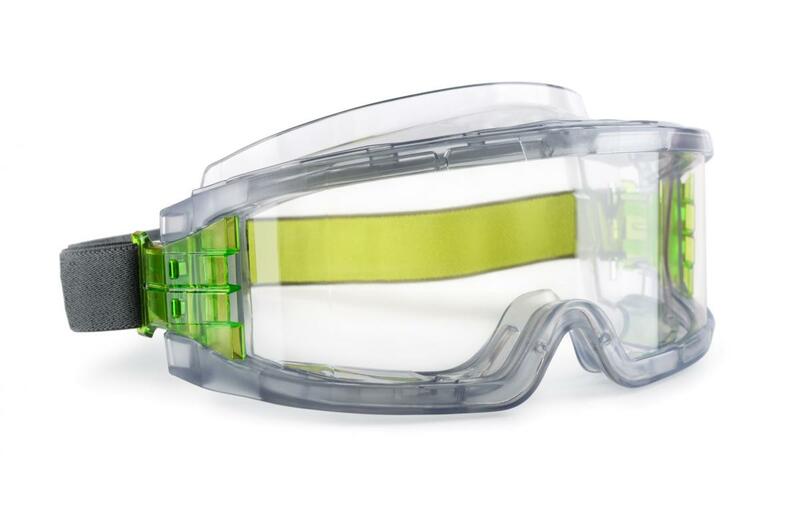 ANSI standard Z87.1 is for general eye and face protection, including chemical splash protection. ANSI standard Z87.1+ designates high impact eyewear, meaning the lens will not dislodge from the frame in the case of high impact. Workers who wear prescription glasses should wear additional protective eyewear. Protective eyewear can either incorporate prescription lenses or fit comfortably over prescription glasses without disturbing the fit. Swinging objects like ropes or chains. Goggles only provide eye protection. Face shields provide protection for the whole face. Be certain that protective eyewear is approved protection against the hazard for which it is being used. For example, workers need impact resistance for protection against flying objects. They need chemical splash resistance when working with liquid chemicals. If filter lenses are used, be certain that the filter lens is of a shade number appropriate for the type of work. Check with suppliers for the most appropriate types of eye protection for the hazard. The arm pieces on safety glasses should touch the side of the head and curl behind the ears. Goggle lenses should be centered. The strap should rest low on the back of the head. Flexible elastic headbands must be in good shape. Discard pitted or scratched eyewear. Eyewear should be clean and defogged. Protective eyewear should fit snugly. It should be reasonably comfortable under conditions of use. Clean the lenses thoroughly with soap and water. Disinfect eyewear that has been exposed to a hazardous substance or worn by someone else. Store clean eye wear in a closed, dustproof case. Plastic bags with a zipper work well. Turn containers away from the face when opening. Remove protective eyewear only after turning off the tool. Replace outdated or scratched prescription lenses; they can distort vision. Replace cracked, pitted, or damaged goggles or spectacles. Concentrate on the task at hand when using power tools. Stop and relax the eyes if they are becoming strained. Keep sharp or pointed objects away from the face and eyes. Tools should be turned off before removing goggles. 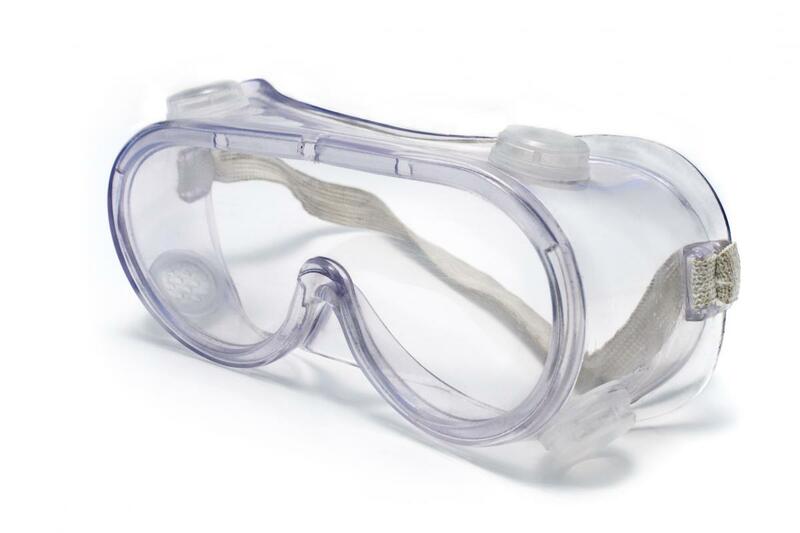 Protective eyewear must comply with the minimum requirements of the American National Standards Institute. Store eyewear in a clean, dustproof case. Reference: Brooks, R.,Jr. (2003). Are you ready for ANSI Z87.1-2003? Occupational Health & Safety, 72(7), 80-88. Retrieved from search-proquest-com.proxy.lib.ohio-state.edu/docview/221031186?accountid=9783.